RALEIGH, N.C., Nov 08, 2018 (SEND2PRESS NEWSWIRE) -- Sokal Media Group signs Nissan of Stanhope and will act as agency of record for the dealership. Starting in mid-November of 2018, Sokal Media Group will begin a program to launch new websites for the Nissan store, create new advertising campaigns, and assist in a variety of other areas of dealership business. 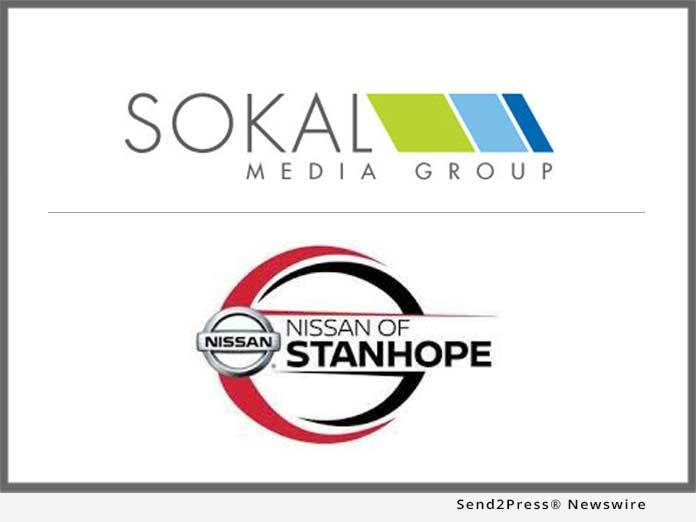 "Our main objective has been to offer excellent service along with quality vehicles, and now that we'll partner with Sokal Media Group, I believe we'll be able to get that message out more openly," stated Jim Desimone, general manager of Nissan of Stanhope. "Sokal and his team appear have a good handle many aspects of auto dealerships and how they function. I'm anticipating a very good outcome." Nissan of Stanhope offers great quality new and preowned vehicles at affordable prices. They are located at 59-US 206 in Stanhope, New Jersey in Sussex County. "Our team is eager to start working with this first-rate dealership as we provide a level of creative work for them that I'm sure will not disappoint," said Mark Sokal, CEO of Sokal Media Group. "Nissan of Stanhope has great potential and we feel privileged to partner in their growth and exposure to the public." With headquarters in Raleigh, N.C. and offices stretching from up and down the east coast to Texas, Sokal Media Group is the area's largest advertising agency focusing on automotive advertising. Sokal Media Group is dedicated to growing business for their clientele through multiple marketing and advertising services. As a full-service agency, they manage the entire project from start to finish. The company executes everything from media buying, radio and television production, ad design, direct mail, search engine marketing, website design, website maintenance, and much more.